It is official: ‘Marc by Marc Jacobs’ is shut down. 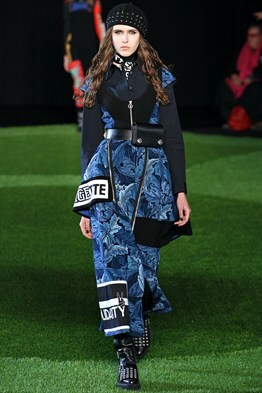 This 14-year-old diffusion line will be merged with the designer – Marc Jacob’s primary collection. The future of Katie Hiller and Luella Bartley, who were given the creative control for ‘Marc by Marc Jacobs (MBMJ)’ in July 2013 to steer the youth aesthetic brand is not known. Marc by Marc Jacobs began in spring 2001 as a means for a younger demographic to cheaply tap into Marc’s world, selling both mens and womenswear at an affordable mid-price point. Their AW15 show brimmed with military moods and deep khaki hues and that’s the last you will see of MBMJ. The diffusion line will merge with the designer’s primary collection. Jacobs will assimilate that collection’s product range and price points into the signature Marc Jacobs collection. Next Next post: Salaam – E – Fashion!